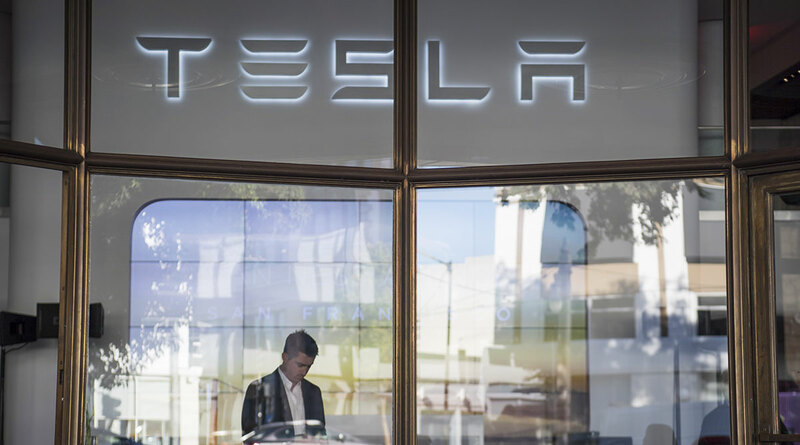 Tesla on Jan. 30 reported fourth-quarter results that included better-than-expected sales — but its earnings supported CEO Elon Musk’s assertion from earlier this month that the electric-car maker has a “very difficult” road ahead in 2019. After the stock market closed, Tesla reported a profit of 78 cents a share, on sales of $7.23 billion, compared with a loss a year ago of $4.01 a share, on $3.29 billion in revenue. Tesla’s shares fell by 2.3%, to $302.68, after the release of the company’s earnings results and the announcement of the chief financial officer leaving. Tesla’s sales topped the $7.12 billion forecast by analysts surveyed by FactSet. However, its earnings, excluding one-time items of $1.93 a share, fell short of those same analysts’ forecasts of $2.20 per share. The company said that during the fourth quarter of 2018 it delivered 63,359 Model 3 cars across North America, and 27,607 Model S and Model X vehicles combined. The results come as Tesla has set up 2019 as a crucial year for its goal of making the Model 3 sedan more affordable to the public; Musk had said that Tesla will begin shipping a version of the Model 3 with a $35,000 price tag within a few months. But being able to bring down the cost of the Model 3, while maintaining or even growing its earnings, is seen as critical for Tesla. The company seeks to expand its customer base beyond what is largely seen as luxury car buyers who can afford its vehicles, which can surpass $100,000. In a company blog post earlier this month, Musk said that the need to rein in costs and become reliably profitable were, in part, behind Tesla cutting 7% of its workforce. “I’m optimistic about [Tesla] being profitable in Q1, and for all quarters going forward,” Musk said Jan. 30 about the possibility that Tesla can continue its streak of profitable business quarters. The company also said Jan. 30 that it expects to deliver 360,000 to 400,000 vehicles this year. Clement Thibault, senior analyst at Investing.com, took a negative view of Tesla’s results, saying that the report “adds to the trend of things not going well” at the company.